That’s right, Johnson! 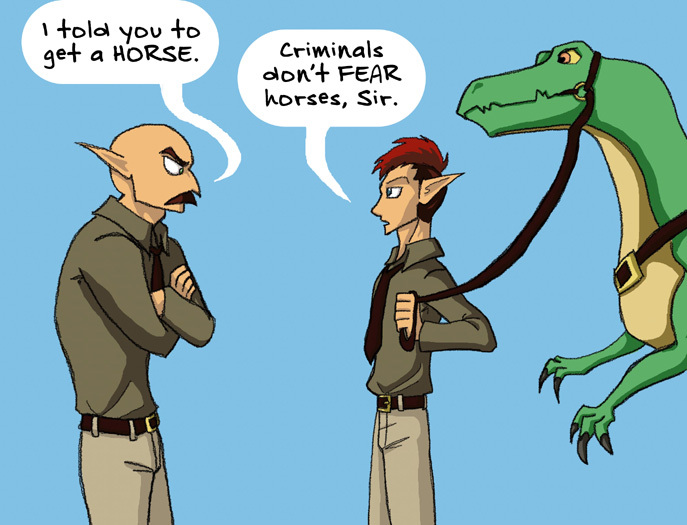 Besides, riding a velociraptor to arrest someone is much cooler. Anyway, I’ve been pretty busy over the last week. I wrote a blog post all about it. Next week we’ll be getting back to full-page comics. Promise. I want a velociraptor! Kelci, can I have one? I’ll ride it out to Arizona to visit you!